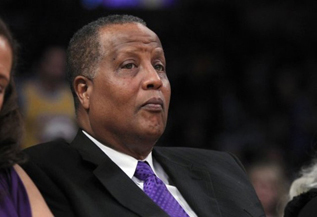 Showtime Lakers forward and former UCLA player Jamaal Wilkes will be inducted into the National Collegiate Basketball Hall of Fame. Other inductees this year include Mark Aguirre, Bob Boozer, Dominique Wilkins and Lionel Simmons, according to UCLA Athletics. Wilkes began his career at UCLA in 1972, he become a letter winner during his three-season tenure. Other honors Wilkes received were two All-American honors and three All-Academic honors. During his 12-year stint in the NBA, Wilkes won one championship title with the Golden State Warriors in 1975 and three with the Los Angeles Lakers in 1980, 1982, and 1985, according to the NBA. His smooth and subtle style of play earned him the nickname “Silk”. Mark Aguirre played for DePaul University and aided the team to the Final Four during his freshmen year. He also won the James Naismith award, according to DePaul Athletics. Aguirre was the first overall pick in the 1981 NBA draft. He played seven years for the Mavericks. In 1989, he began playing for the Detroit Pistons during the “Bad Boys” era. Aguirre would help the aggressive lineup to two NBA championship titles in 1989 and 1990. The late Bob Boozer played three years at Kansas State and become a two-time All American. He averaged 21.9 points and 10.7 rebounds, according to the Kansas City Star. Boozer spent 11 years in the NBA and played for several teams including the Milwaukee Bucks, the Los Angeles Lakers, and the Seattle SuperSonics. He played along the side of Kareem Abdul-Jabbar when the Bucks won the 1971 NBA Championship. Boozer also won a gold medal with the USA Olympic team in 1960. Dominique Wilkins attended the University of Georgia in 1979 and became a two-time All American. His no. 21 jersey is the only retired jersey in the history of Georgia basketball. Wilkins was the third overall pick in the 1982 draft, according to Georgia Athletics. During the late 1980’s and early ‘90s, Wilkins played for the Atlanta Hawks and won two Slam Dunk contests. The nine-time NBA All Star is currently the Hawks Vice Presidents of Basketball Operations. Lionel Simmons still holds the record for scoring in the double figures in 115 consecutive games at LaSalle University. As a senior, Simmons led the country in scoring. Simmons was the seventh overall pick in the 1990 draft; he only played for the Sacramento Kings. The National Collegiate Hall of Fame Induction ceremony for the 2016 class will be on Friday, Nov. 18 at the Arvest Bank Theatre at the Midland in Kansas City.